How can I make the AJAX call send multiple parameters in the BODY using PUT?? 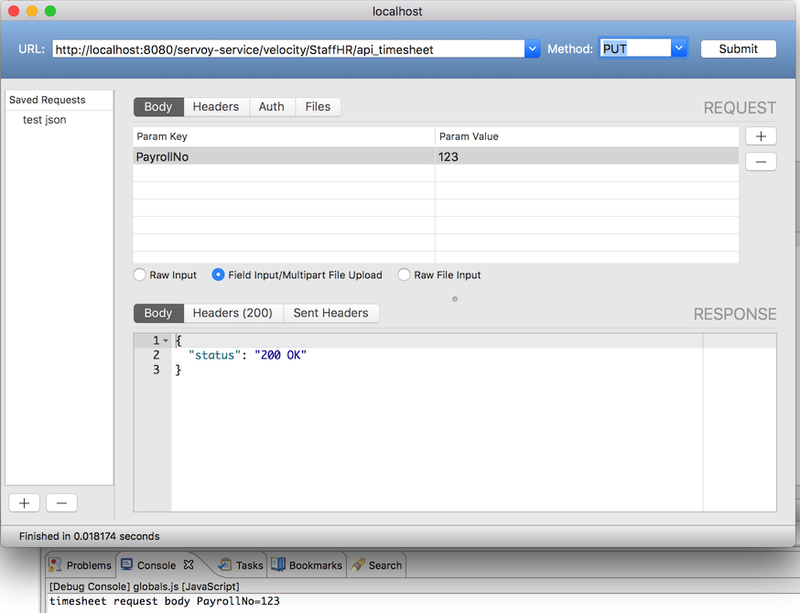 AppStudio’s Ajax function is a wrapper for the jQuery Ajax() function. You might get some ideas there. Also, make sure that ‘done’ is the name of a function in your app. If not, you’ll get undefined. I’ve looked at that URL & tried some things, but it didn’t help.